These Bollywood actors began earning their livelihood by doing some mediocre jobs. These are leading actors now-a-days, and yet they proudly share about their past jobs. Check out these five Bollywood stars’ careers before they became actors. Ranbir had completed his Method Acting course at the Manhattan, New york’s Lee Strasberg Theatre and Film Institute before assisting Sanjay Leela Bhansali on the sets of Black movie in 2005. He was later casted for the lead role by Bhansali for the movie Saawariya opposite Sonam Kapoor. Saawariya was both Ranbir and Sonam’s debut movie. 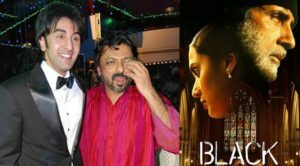 There were also reports of Ranbir assisting his father Rishi Kapoor in 1999, who was then directing the movie Aa Ab Laut Chalen. Although Ranveer wanted to be an actor since his childhood, he worked at premier ad agencies like O&M and JWT, as a copywriter for a few years. After completing his secondary education from HR College of Commerce and Economics, Mumbai, he went on to pursue his graduation from Indiana University, Bloomington. When he returned to Mumbai in 2007, he took up the job of a copywriter. Later he debuted through Yash Raj films banner’s movie Band Baaja Baaraat opposite Anushka Sharma. Did you know the Neerja actress, while studying in Singapore took up her first job of a waitress at the age of 15? Apparently, her parents provided her with minimum allowance and she took the job to increase her pocket money. Later before acquiring the role in the movie Saawariya, she worked as an assistant director to Sanjay Leela Bhansali on the sets of movie Black along with Ranbir Kapoor in 2005. Later Sanjay persuaded her to lose weight for her debut movie. Our bubbly girl Parineeti has completed her triple honors degree from Manchester Business School. Later she was recommended by her cousin Priyanka Chopra to the Yash Raj Films where she worked in the as a marketing intern. Later she debuted through romantic comedy movie Ladies vs Ricky Bahl, which was also produced by Yash Raj Films. She won the Filmfare Award for Best Female Debut in 2011 for this movie. The hunk from Student of the Year started modeling “for fun and pocket money” at the age of 18. For four years he did several photo shoots and walked few ramps too. After this, he worked as an assistant director to Karan Johar while filming My Name IS Khan. Siddharth was later cast by Karan Johar in Student of the Year movie. Shocking Salaries of New Age Actors & Actresses In Bollywood That Will Make Your Jaw Dropped!